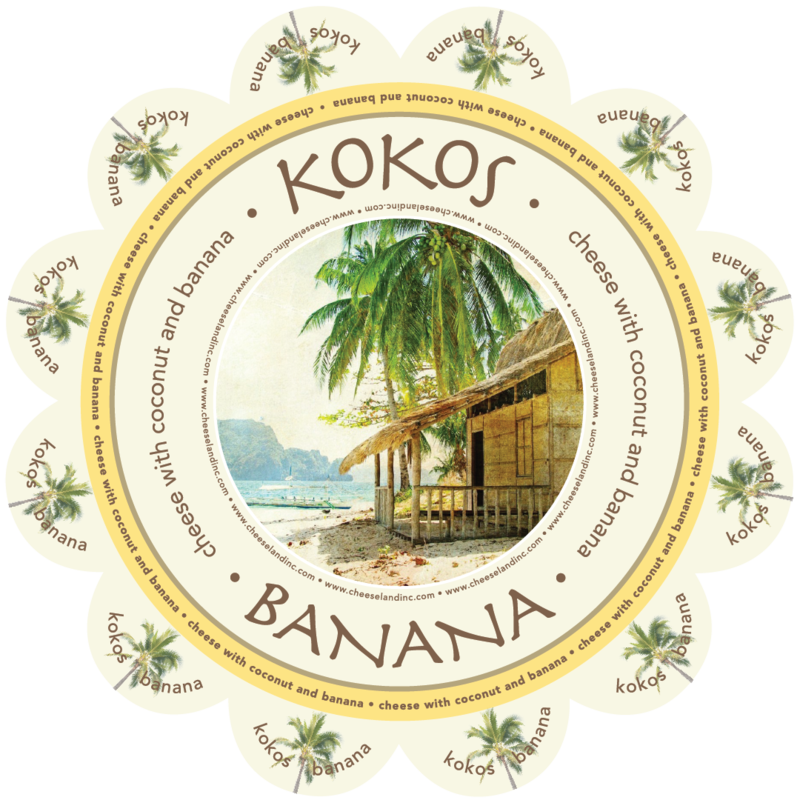 Where did you find Kokos® Banana? How did you serve it? We love to hear from you! Made with fresh, pasteurized cow’s milk, a healthy dash of organic coconut cream and some banana added for extra flavor and creaminess. This tropical cheese is delightfully unique with a slight nutty taste and a touch of refreshing sweetness. Pairs well with melted chocolate. Ingredients: Pasteurized milk, organic coconut cream, banana, salt, cheese culture, vegetarian rennet. Nutrition Facts: Serving Size 1oz (28g) Servings: Varied Amount/Serving: Calories 110, Fat Cal. 80, Total Fat 9g (14% DV), Sat Fat 6g (30% DV), Trans Fat 0g (0% DV), Cholesterol 24mg (13% DV), Sodium 230mg (10% DV), Total Carb. 0g (0% DV), Fiber 0g (0% DV), Sugars 0g, Protein 7g, Vit A 9%, Vit C 0%, Calcium 20%, Iron 2%.